Over the years, the FCA has been amended to implement policy initiatives. In 1986, due to concerns about the rising national debt the FCA was strengthened to curb government spending caused by waste and fraud. At that time, the law was principally used against defense contractors who defrauded the government. By the late 1990s, however, the FCA’s focus had become, and now remains, healthcare fraud. Knowingly making a false record to avoid an obligation to the Government. 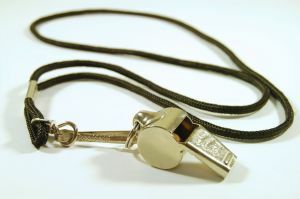 These changes to the FCA were clearly designed to make it easier for whistleblowers to bring qui tam claims. It is too early to know the effectiveness of these changes, as few courts have yet to consider the revised provisions. However, it is clear the U.S. government intends to continue the expansion of FCA whistleblower lawsuits and recoveries as one means of controlling healthcare costs. 10 31 U.S.C. 3730(e)(4)(A)(emphasis added).